This is today’s newest Microgaming online slot released right in time for the Chinese New Year. 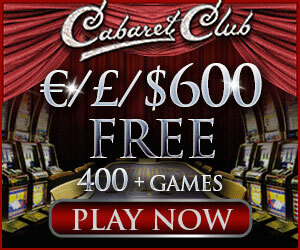 The game offers five active reels, 243 ways-to-win and countless moments of truly fun gambling! Every player who is over eighteen and can afford spend just 25 pence for a spin can and should join it for the excellent chance to win up to $90.000 and start this year 2015 as a rich man. Gung Pow is an Asian luck game that can really bring luck. The graphics and sound effects in the game are through and through Chinese and remind a bit of the once very popular Aristocrat’s Choy Sun Doa. But unlike it, Gung Pow is a very modern game full of different exciting features. Also, this new Microgaming slot is high variance game, meaning that one can win a lot but not so often. This is the type of game most of us like since it makes us want to always come back in hope of a huge win. Among the best things about this game is the Free Spins Bonus feature. It is quite special and players can trigger it by gathering three of more Ancient Coin symbols on the reels. When they do – as many as fifteen free spins are given to them as a reward and all the wins get multiplied by 3! This feature can be re-triggered too, which means more free spins for the lucky players. So far Gung Pow may seem like a regular Microgaming slot, but it really is not. First off – it will be adopted for mobile devices right from the start, so mobile casino players will not need to wait for weeks/months for the mobile version to appear. Also, most popular Microgaming casinos promise to keep special promotions to support success of Gung Pow. This is why we are really looking forward for this game to become publicly available and start bringing joy and wins to the players.